Hello! It’s been a few months since my last post. Just wanted to say, Yes! the thru-hike is still on! We start in 3 weeks (eek!) I’ve been so crazy busy… working multiple jobs, hiking, planning, packing, etc. However, things are finally starting to slow down. At the beginning of May, Gordon received a surprise package in the mail. Neither of us had ordered anything, so we weren’t really sure what would be in the box. Gordon’s birthday was at the end of the week, so I figured it would be something from one of his family members for his birthday. Gordon opened the box to find the book Grandma Gatewood’s Walk-The Inspiring Story of the Woman Who Saved the Appalachian Trail. He immediately began to read it. We didn’t find out until a few days later that his grandparents had thoughtfully sent him the book for his birthday. I didn’t get the chance to read the book until 2 weeks ago, when we went on vacation at the beach. What a truly inspiring story, as the title implies! If you haven’t read the book yet, go! Go buy it now and READ IT! Now to the reason for this post. The main portion of the book is about her first successful thru-hike, and at the end there is a section that talks more about her and her late part of her life. Buried at the end was a slight mention of the Buckeye Trail. 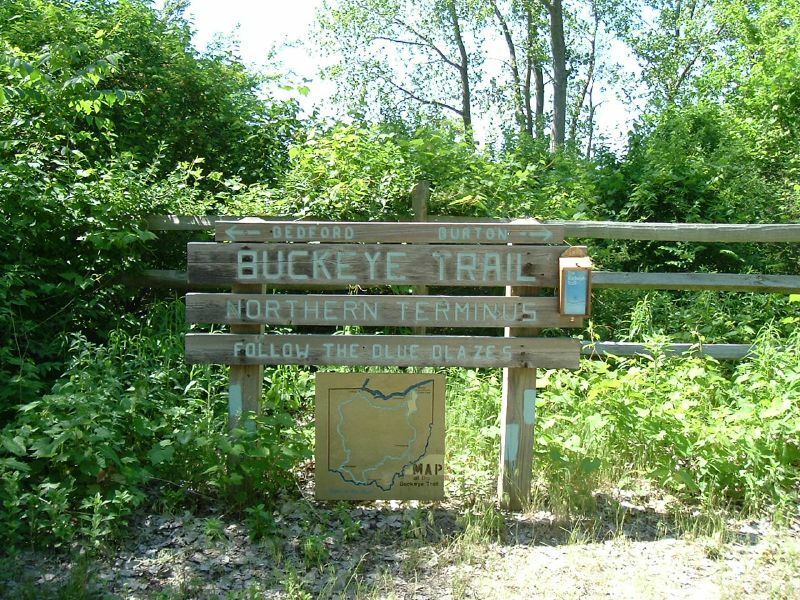 I figured to go with the other trail write-ups I’ve done, that the Buckeye Trail is another long trail worth writing about. So here we go! Ohio is unfairly referred to as one of the “flyover states,” and there’s a rather funny (sorry) photo online of an Ohio state line sign reading: “Welcome to Ohio. 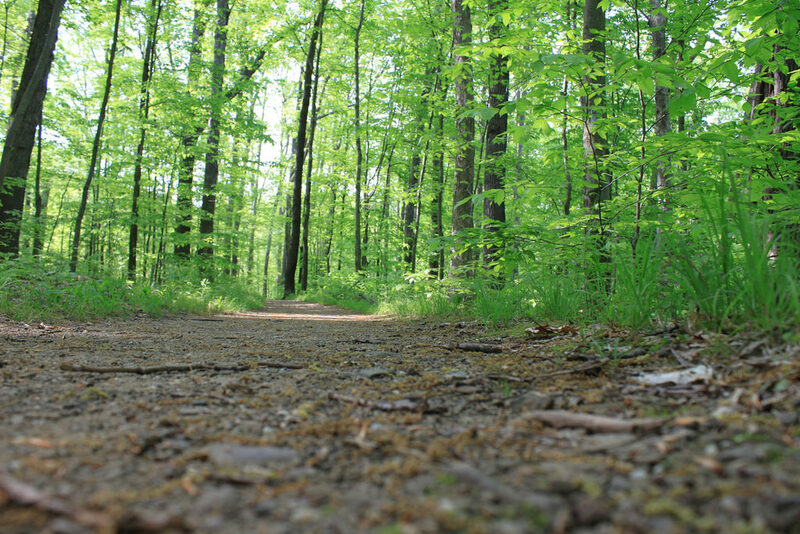 Why are you even here?” This leads us to the understanding that most people don’t know there is an established long-distance trail that winds around the entire state of Ohio, essentially reaching every corner of the state over the course of nearly 1,450 miles. One of the best parts about this trail? It’s a loop. If you’re doing the whole thing? No shuttles, no out-and-back. Since shuttles are annoying and out-and-backs are the worst, this whole loop deal makes the Buckeye Trail pretty appealing. The trail circles within Ohio for about 1,444 miles. You can, in essence, hike the circumference of Ohio. 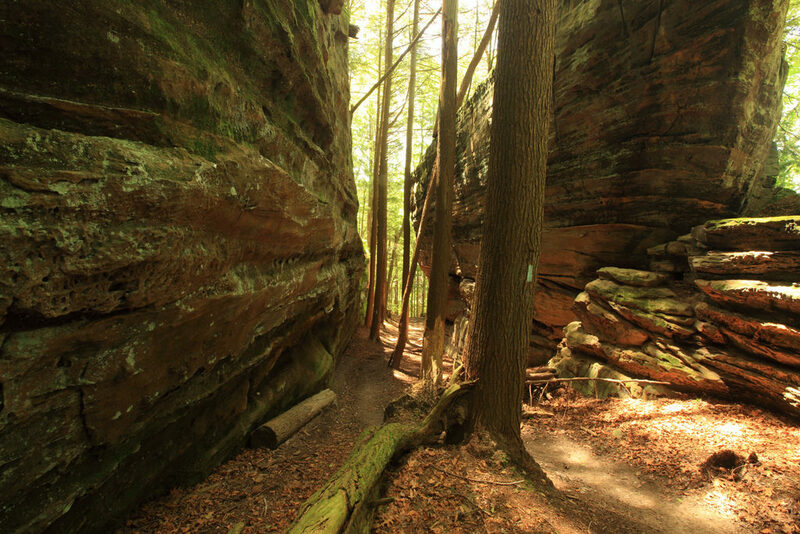 Hiking this trail will allow you to experience many parts of Ohio. From a hilltop overlooking the Ohio River to a beach on Lake Erie. Grandma Gatewood was one of the founders! This makes her even cooler than she was before. The original vision for the trail was to connect the Ohio River to Lake Erie. Over time, it evolved into a loop. The Buckeye Trail is marked by blue blazes, and is very thoroughly marked. Sort of like the AT, it’s pretty tough (albeit, doable) to get lost. The different regions of the trail have different volunteer chapters, common among long-distance trails that hit giant swaths of country. The Buckeye Trail is a large loop within Ohio, with several options for shorter loops. 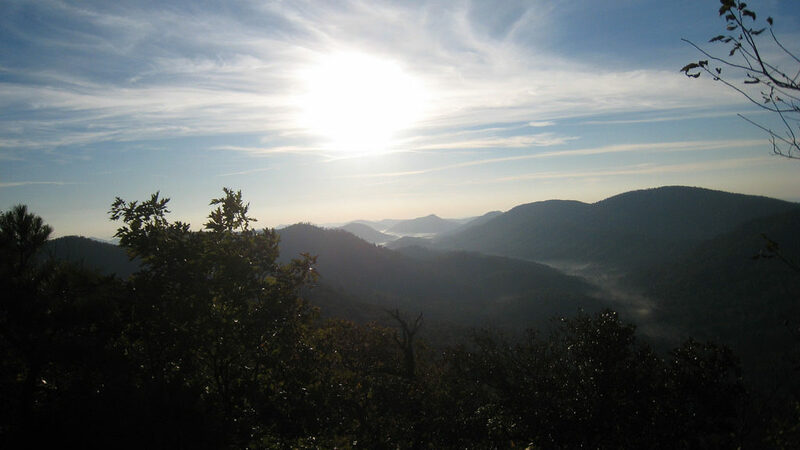 You can choose to do day hikes, sections, the whole “circuit” or the “Little Loop.” Setting out on the Buckeye Trail, expect gorgeous forests, plenty of water sources, lakes, and friendly trail towns. Depending on the season, be prepared for higher rates of humidity, which is why the foliage is so lush. The trail is broken down into 26 sections, with handy maps and frequently updated information for each one. In some sections, you’ll be hiking along a lake for over 20 miles. In others, you’ll pass multiple waterfalls and swimming holes. Covered bridges? Check. Rolling hills? Check. Friendly trail towns? Check. One thing you won’t find on the Buckeye Trail are brutal peaks… the elevation gain is blessedly nominal throughout most of the trail’s length. 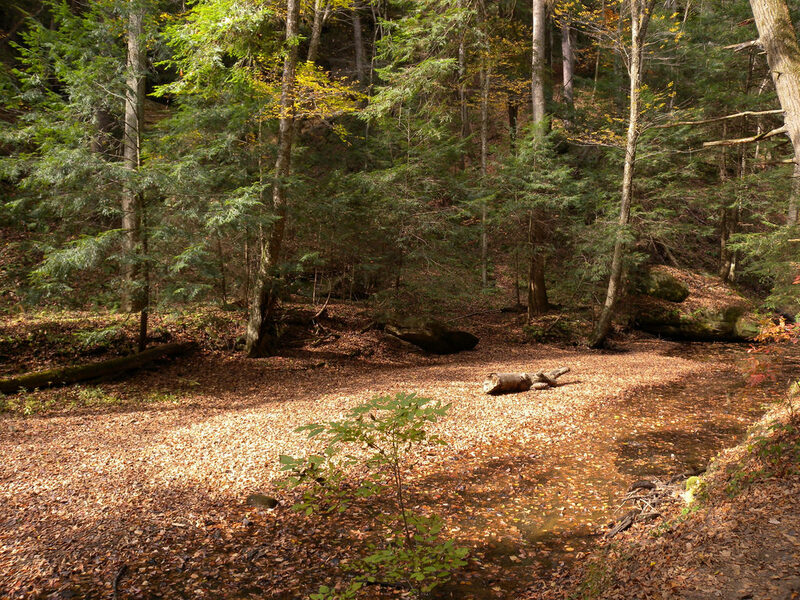 The Buckeye Trail is accessible for all four seasons, and offers scenic beauty and quiet forests 12 months of the year. 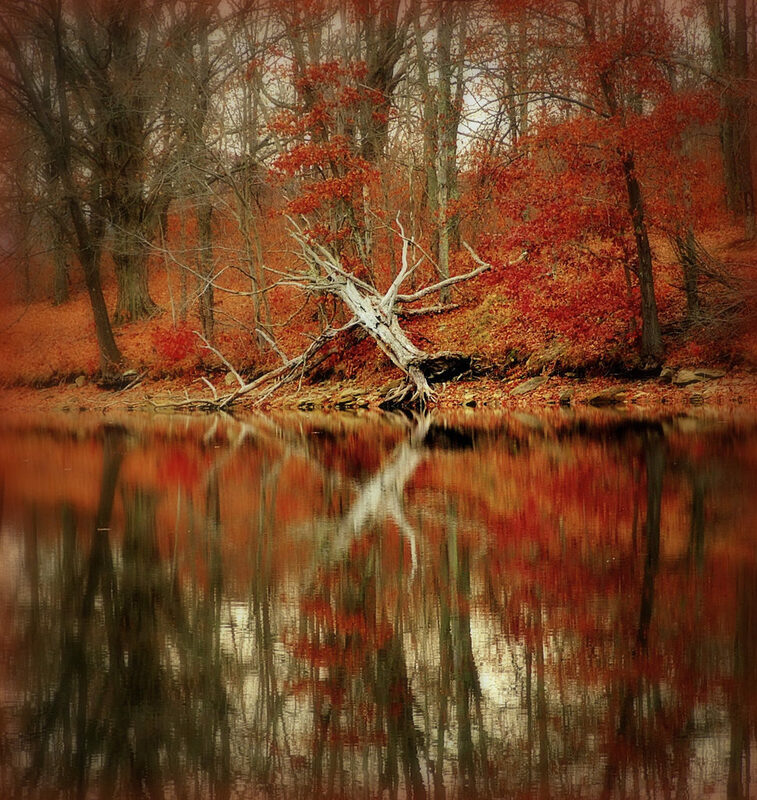 Summer swimming, fall foliage, silent winter snowpack, and spring flowers. Yes please. The entire trail is incredibly well maintained and each section has a “supervisor” ready to answer questions and offer advice. Campsites can be found within walking distance to the trail. For more information on where campsites are located, check out BTA’s website for up to date information. The BTA also manages camping facilities in a few areas. The trail force is strong with this one—volunteers spend hundreds of hours every season maintaining sites and improving the camping areas. The Buckeye Trail Association seems to be a very social group, so naturally, they have a handful of events to attend through out the year. Each summer, they host group hikes for all ages and abilities, trail crew events, and active meetings for volunteers and committee members. Join the Buckeye Trail as a member and receive a bunch of great benefits! A regular adult membership will run you about $25 and will get you discounts with selected local outfitters, discounts at festivals, free camping at a few locations, a free map, voting rights and more! A great way to get involved with any organization is to volunteer. Opportunities with the BTA include trail stewardship, outreach and events, office and clerical, and many many more! Click HERE to see a list of volunteer opportunities. 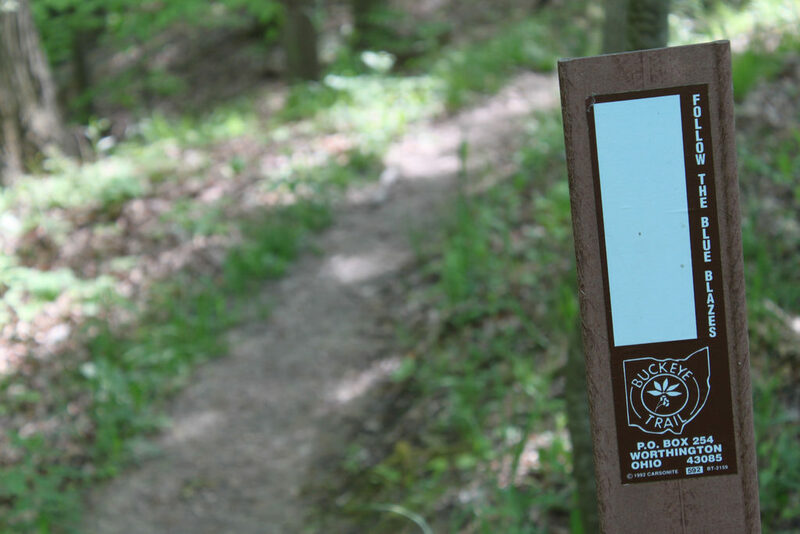 Do you live in Ohio and want to be an active member of the trail community? Check out the multiple chapters for the different regions of the Buckeye Trail. Check out the BTA chapters here! Don’t have time to volunteer, or don’t live in the area and want to help out a great organization? You could always donate! Your money could help the organization acquire land for trails, renovate structures, tools for trail building and other needs. Donate here! That’s all for now! Keep a look out! Next post will be questions from around my office about my upcoming thru-hike! Get even more trail profiles here. Hey there! My name is Stephanie (Yard Sale), I was born and raised in the middle of no-where Wisconsin and now reside in Charlotte, NC. July 2016, my boyfriend Gordon (Cardinal) and I are breaking free from our regular routine to thru hike the AT, SOBO. Whaaaaaaaaat ?! My home state and I didn’t even know about it!!!! Great read, tempted to do this! Thank you! This article showed a lot of neat pictures, and talked about going along a lake for 20 miles, and a few rolling hills. It failed to mention that probably 95% if not more of this trail, is along back country roads. Nice read! Love learning abut new trails. Good luck on your thru hike!! Will follow along (jealously) from here in CLT. Not a bad trail if you like walking along roads A LOT! !